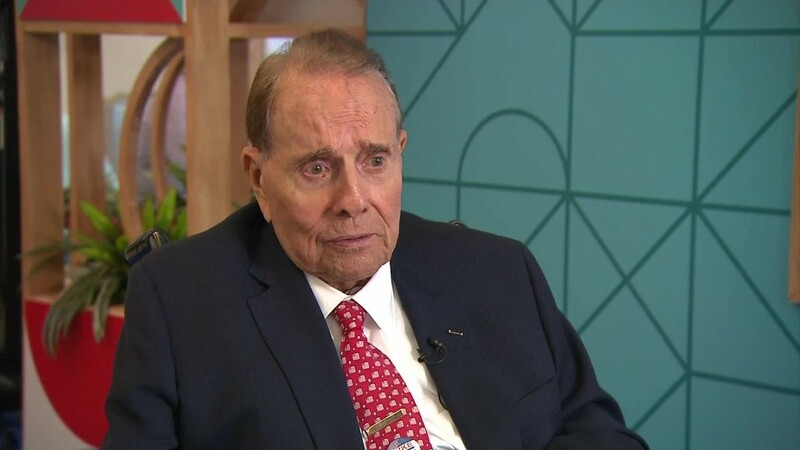 (CNN) Former Sen. Bob Dole reflected on the late Sen. John McCain’s service to the nation after he and other leaders paid tribute to the Arizona Republican in Washington on Saturday. Dole, 95, a former Senate Majority leader, was referring to the devastating injuries that both men suffered in war — McCain in Vietnam and Dole in World War II. McCain was tortured and beaten in the infamous “Hanoi Hilton” prison in Vietnam, where the Navy pilot was held for more than five years after his jet was shot down in 1967. The injuries he sustained in the crash and his imprisonment left him permanently incapable of raising his arms above his head. While McCain was being held prisoner, then-Senator Dole, who first was elected to the Senate in 1968, wore a metal prisoner of war bracelet engraved with McCain’s name, only to reveal the fact to him many years later. Dole himself spent three years recovering from injuries he sustained in World War II that left his right arm permanently disabled and his left arm minimally functional. He was awarded two Purple Hearts and two Bronze Stars with an oak leaf cluster. Like McCain, Dole was also one of the few Americans to achieve the nomination of a major political party for president only to endure defeat on the national stage. Although the rivals who ended their presidential ambitions, former Presidents Bill Clinton and Barack Obama, were in attendance the Washington National Cathedral on Saturday, President Donald Trump was not invited to the memorial service. McCain was a harsh critic of Trump, and the two had a fraught relationship. Trump did not release a planned statement after the senator’s death last Saturday at the age of 81, offering brief plaudits for him late on Monday at the urging of aides after responding to questions about McCain with silence for most of the day. “Despite our differences on policy and politics, I respect Senator John McCain’s service to our country,” Trump wrote in the four-paragraph statement, which dealt mainly in the logistical details he’d approved for the week-long remembrance ceremonies. During his presidential campaign, Trump also famously questioned McCain’s heroism, saying he wasn’t a war hero because he was taken prisoner in Vietnam. That, Dole told Cabrera, was a mistake.